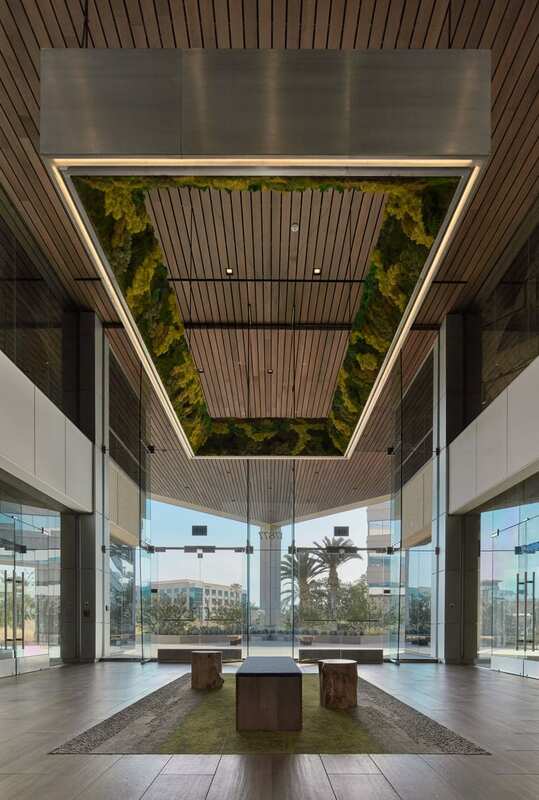 IA’s Orange County office recently renovated and repositioned a 15-acre urban campus in Irvine, CA, dubbed INTERSECT, that integrates a wellness strategy and design into the physical infrastructure and landscape. On the premise that a community of like-minded tenants with shared values will empower one another, the goal was to attract health-focused businesses that could play a significant role in the campus’ success. But the campus, its features and the values it represents, also attracted the design team and all of the IA Orange County staff. 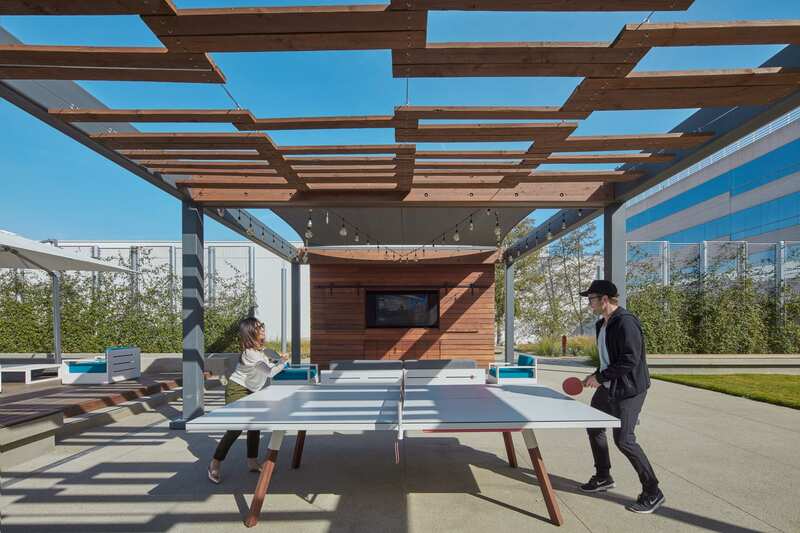 INTERSECT’s positivity, openness, themes of wellness, outdoor and indoor amenities, and emphasis on biophilia were palpable and contagious—ultimately irresistible. Having outgrown our current space, the decision to relocate to INTERSECT and enjoy all those beneficial and exciting features for an enhanced work-life balance was an easy one. IA designs for people, and like our clients, we value our employees and want the best design has to offer for them too. On September 14, IA’s Orange County office will relocate to INTERSECT. With wellness at its core, the site shares many characteristics of today’s co-working spaces. Community, fitness, and healthy nourishment are touchstones of the tenant experience. A bike-share program and walking trail, game pavilion, and other features keep tenants and guests interacting and on the move. A shaded dining deck, picnic tables—even a beer garden with video screen and fire pit—offer choices for dining, social events, and relaxing. Plus, to engage with the adjacent community, an area for farmers-market stalls/food trucks is integrated into the campus. Fellow tenants include a natural supplement developer working with the emerging science of MentaBiotics, a fitness company that has branded the extensive indoor/outdoor fitness center, and a restaurant group that occupies both office and restaurant space —providing organic food options using produce from the campus’s sustainable urban garden. And in the near future a repurposed shipping container will be the venue of an additional restaurant. INTERSECT creates a sense of inclusive community. The intent is to nurture a happier, healthier, and more creative environment that can’t help but inspire the loyalty critical for retaining and attracting talent. And when people thrive, fully engaged and among friends, they want to stay. Curious About Where to Find Us? Did you know that IA Interior Architects has 20 offices worldwide? Find out where IA-ers call home, and whom to get in touch with at each location.